Coco - Available as a download or stream? This is the next major movie from the Disney Studios which is going to be released on 22nd November this year. 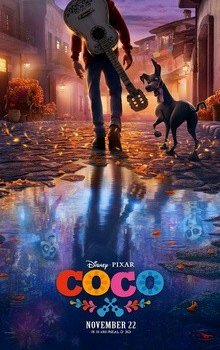 Coco is a movie where Miguel (Anthony Gonzalez) visits the Land of the Dead to find a way where his family accepts his passion for music. The animation will be quite stunning with the background score from Michael Giacchino. The movie will have a Mexican touch regarding folklore and art.